Las Vegas has had a long standing tradition with stripclubs and no other name embodies that tradition like The Crazy Horse. Taken from the famous risqué venue in France, the third incarnation of this famous moniker in Las Vegas is The Crazy Horse 3 gentlemen's club. The 40,000 square foot pleasure palace is located close to the south end of the strip in an area not dominated by other adult businesses like most of the other Las Vegas strip clubs. The Crazy Horse 3 has an impressive main room focused on their center stage. Two well equipped bars flank either side of this main room while elevated VIP seating provides a more perched perspective of the sultry entertainment. 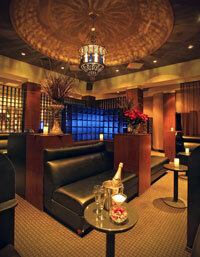 A large back showroom is the perfect space for large group parties with its own bar and small stage. 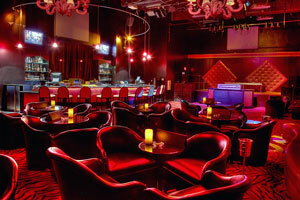 Afterhours, this room becomes a late night hotspot for those in search of a good time beyond the early morning hours. With a dizzying array of exotic dancers to please the eyes, the Crazy Horse 3 also boasts a very impressive VIP room with plush amenities for that very special dance. Also available in the VIP room are private suites of varying sizes that are available with a minimum bottle service purchase. These private party rooms are well worth the money if privacy is important.